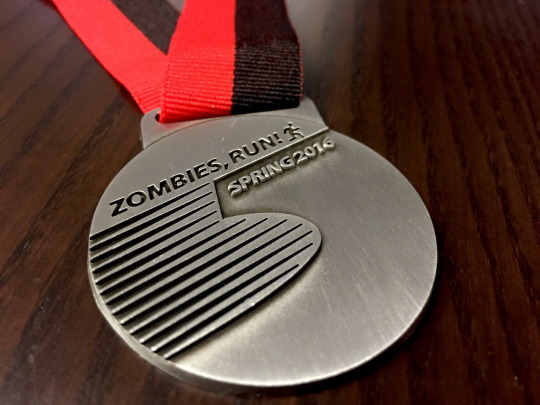 State of the Township: December 2015 – Zombies, Run! 2015 has been a tremendous year for Zombies, Run! – we released the fantastic Season 4, held our first Virtual Race with 2500 runners, and more than doubled our downloads to over two million. To top it all off, we made our apps better than ever with improved music playback, free Training Plans, Interval Training on Android, and Apple Watch support. Not bad at all, we’d say! And now that we’ve squashed so many bugs thanks to our devs, QA, and beta-testing community, we’re able to embark on developing even bigger features than before – like our Training Plans. 2015 saw us launch Season 4 and completely rebuild the app. We’ll be honest – there were a lot of bugs to begin with, but today Zombies, Run! has never looked or performed better. We’ve reduced crashes, made the app easier to use, and added a ton of audio and running features. The app is in fantastic shape and the rebuild means it’s much faster for us to develop new features. For our main app, 2016 is all about gameplay. Among the areas we’re interested in are the base builder, social/multiplayer features, and walk tracking. Don’t worry – we aren’t going to wipe out your existing Abel Townships! Those will remain and simply get better. But we know a lot of players are motivated by improving their base and we think we can make that much more fun, particular if you do it with your friends. Next year’s Virtual Races will get bigger and better, with more rewards and more excitement. We’ve been blown away by the demand for our Spring 2016 Virtual Race, and we’re planning to hold two or three over the course of 2016. In 2016, we’ll also be completely rebuilding our 5k Training app, based on the brand new, battle-tested ZR engine. It’s likely that for both ZR apps, we’ll be requiring iOS 8 or higher; so if you have an iPhone 4s or above, you’ll be fine! ZR is almost four years old. That’s like 40 internet years! In many ways, we aren’t an upstart app any more – we have well over 2 million players, and hundreds of thousands of people run with us every month. These are numbers we only dreamed of when we launched. But here’s the thing. If you ask a random runner or gamer if they’ve heard of Zombies, Run!, they might say yes – but they probably won’t have tried it. And if you ask a random stranger, chances are they won’t even have heard about it. That means it’s still early days in Abel Township. There are millions more people out there who don’t realise that running can be exciting, exhilarating, and most of all fun. We want them all to become Runner 5, just like you! Next Post Bonus ZR Mission for the Holidays!